We are delighted to announce that Nu-Heat’s commitment to delivering exceptional customer service has been recognised with an award! 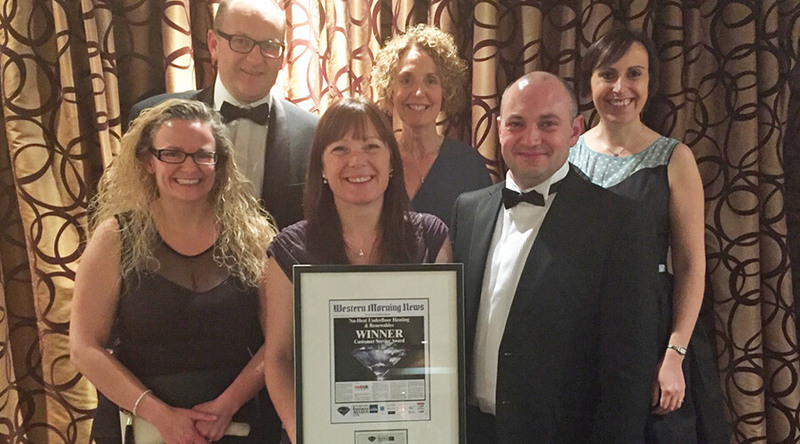 Selected from a shortlist of five strong finalists, Nu-Heat scooped the coveted Customer Service Award at last night’s Western Morning News Business Awards in Plymouth. The Western Morning News Business Awards are a celebration of business excellence in the South West, recognising innovative businesses who help drive the region’s economy. The judging panel commended Nu-Heat for our well-implemented customer care policy and commitment to exceeding customer expectations, as well as our work to continuously improve our customer service standards and business performance. The award comes just months after Nu-Heat outperformed national and sector averages in the independent UK Customer Satisfaction Index by more than 10%. We know that building or renovating property can be stressful, and that the underfloor heating systems we design and supply can often be one piece of a large and complicated puzzle. We are delighted to have won this Customer Service Award, which recognises our efforts to deliver the very best customer experience. We would like to take this opportunity to thank everyone who has shared their feedback or completed surveys about our products and services. Nu-Heat prides itself on delivering consistently excellent customer service, and records all feedback to help us continue to improve.